Although the driver left the scene of the accident we were able to track down who it was by going and speaking with the staff at First Presbyterian Church who then gave us the phone number of the people at Foodbank NYC who then gave us the details for SL Benfica Transportation inc in the Bronx. When we got through to them after about an hour of detective work their comments were....yeh we know about this, the driver is on his way back and will be there in about 90 minutes. 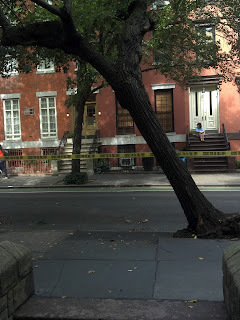 By this time the fire brigade came and blocked off Henry Street at Clark and then New York City Parks arrived to cut down the tree to a stump about 10 inches high (as you can see in the photo not a chance to save this 40' beauty). So by the time SL Benfica Transportation turned up (one of the managers and the driver came to take photos of what was now a stump but drove their personal car so i couldn't see the damage to the truck) i was really happy when the manager said dont worry, we'll take care of this, get some quotes and just send us the details directly rather than going via your insurance company etc etc. The first few weeks of deal with SL Benfica Transportation seemed to be going really well, and they seemed to be a reesponsible trucking company and we were both learning about what was involved in planting a tree on the sidewalk in New York City..... ugh too much red tape. Unfortunately ....and yeh i know you saw this coming already....basically we sent them a letter of demand for the total amount and SL Benfica transportation management are now refusing to pay for the replacement of the tree! 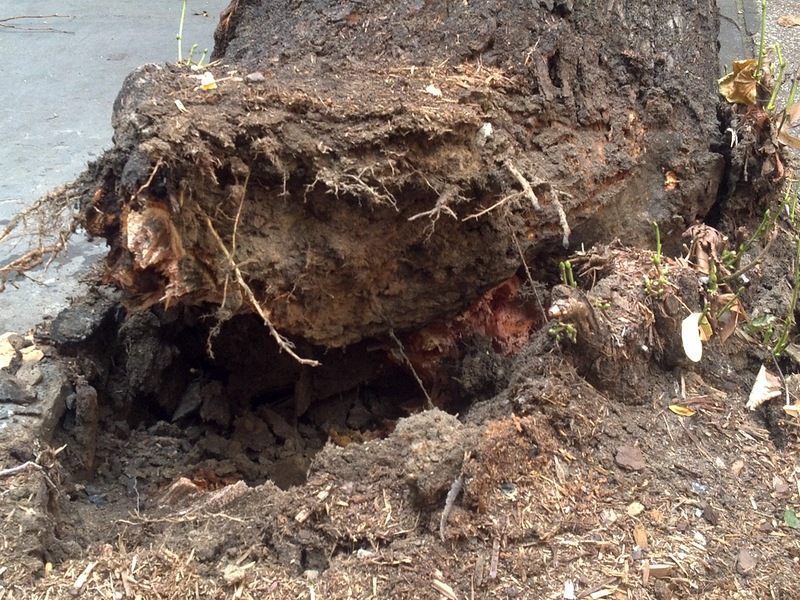 I appreciate that we were both surprised at how much the costs came out to but this isn't replacing a 40' tree that was there but just repairing the damaged sidewalk and planting a small replacement sapling that will take 20 to 30 years to grow back to what was there. While both Foodbank New York and First Presbyterian Church management are well meaning in offering their apologies they say that the truck is not their responsibility and it’s a subcontract of a contract of a contract etc etc and that its not their responsibility to make good on this matter either.